Snoring can cause sleep deprivation and many people around the world are faced with this problem. Snoring happens when the air is forcefully squeezed through a narrow airway. As many as 30% of adults above 30 snores and this number continues to increase with age. Habitual snorers might be faced with some serious issues such as sleep apnea, which creates several problems including breathing interruptions when sleeping caused by total or partial blockage of the airway, which can be fatal if not handled properly. Sadly, while many snores, very little is being done to prevent snoring. 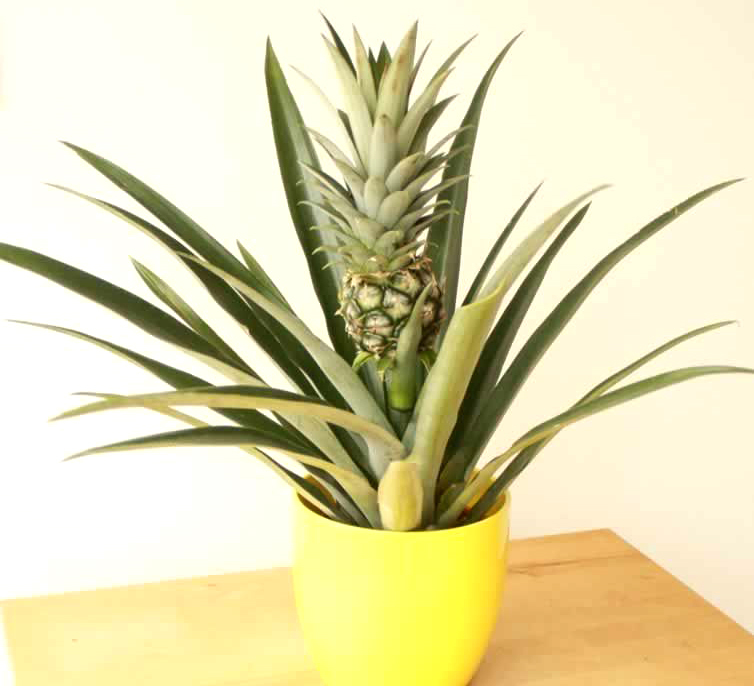 The pineapple plant is an indoor potted ornamental plant. Its long dark leaves stick out of the base of the pot and a shoot sprouts in the middle with a cute mini inedible pineapple resting on top. That pineapple, however, takes 21-24 months to grow. According to NASA, this pineapple plant can cure or prevent snoring. This is because the pineapple plant produces more oxygen than most, which improves the air quality at night and therefore, creating a healthier and better environment for sounder sleep. In turn, it prevents snoring. 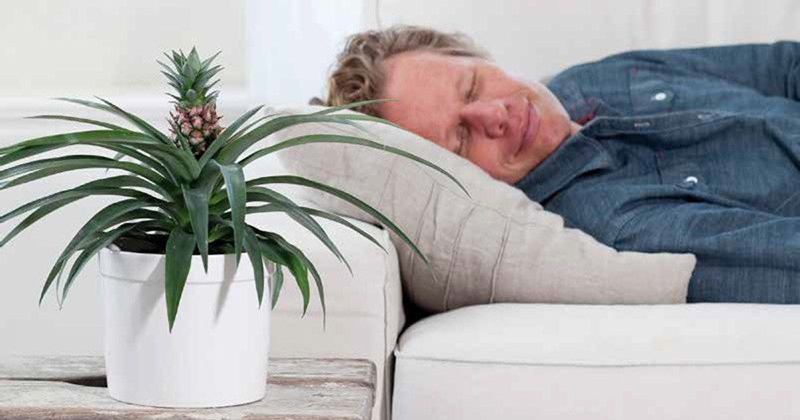 The pineapple plant is exclusively sold in Asda (UK) and is seen as a dream come true especially for snorers and their sleep-deprived partner. Aside from the pineapple plant, there are also other plants to consider for your room that helps to create better air quality to prevent or treat snoring. As recommended by NASA, such plants are aloe vera, dwarf date palm, weeping fig, English ivy, Areca palm, Boston fern, Chinese evergreen, lady palm, peace lily and spider plant. Besides plants, there are also exercises that you can do as to reduce snoring, such as tongue curl,s which involve curling your tongue backwards towards the soft palate and then bringing it forward to touch the back of your upper teeth; opening your mouth wide as wide as possible and say ah for 20 seconds and squeal. This lower throat exercise involves poking out your tongue as far as it goes, taking a deep breath and making a high pitched noise which is pretty similar to gargling with air for 30 seconds. Alternatively, there are other natural ways that you can do to reduce snoring before seeking treatment. Medical advancement has made it possible to treat snoring. This snoring treatment is known as Fotona Laser Nightlase,. The treatment is non-invasive and helps solve issues of excessive snoring when sleeping. This laser treatment for snoring uses a non-ablasive laser to tighten the skin at the back of your mouth and stimulate collagen production in the treated area to encourage self-repair. This lead to a contraction of the uvula and airways and hence, the larger airways will allow for greater intake of oxygen during breathing and reduces or prevents snoring. The Fotona Laser treatment is clinically proven to reduce snoring significantly, though there had been some instances which snoring was cured completely. However, results will vary with each individual. The laser for snoring is pain-free and has no known complications. It can be done quickly with minimal interruptions to your daily life. If your snoring is bugging you or your partner, why not try this laser treatment for snoring. It will definitely give you and your partner better sleep and also improve your relationship. Our doctors have your best interest at heart and protect your privacy.